RALEIGH—The North Carolina Writers' Network 2018 Squire Summer Writing Workshops offer the chance for attendees to study one genre with one instructor over the course of the weekend. Paul Cuadros (Creative Nonfiction), Rob Greene (Poetry), and Elaine Neil Orr (Fiction) will serve as faculty. The registration deadline is June 30: register now. Additional programming includes faculty readings, open mics, and the annual "All Stories Connect" panel discussion. This year's panel will cover the topic "The Cross-Pollination Between Page and Stage." Panelists include Ian Finley, June Guralnick, and Ellen Shepard. What are the cross-pollination and crossover possibilities between writing for stage and screen and other writing genres? What can dramatic principles teach all writers about characterization, dialog, plotting, and rhythm? What can authors teach playwrights about subplots, creating suspenseful "page-turners," and more? What sorts of things can a story tell when told on stage or screen, and how are they different from what a story can tell on the page? Ian Finley is the former Director of Education for Burning Coal Theatre Company, having headed its WillPower (now Fuse) residency programs, its Summer Theatre Conservatories, its New York and London tours, and many other programs. He is author of 1960 (Burning Coal, 2009), Green Square, Suspense, Nightengale Song, and The Nature of the Nautilus (winner of the Kennedy Center’s Jean Kennedy Smith Award), as well as Burning Coal’s Oakwood cycle of plays. As an actor, he has performed in Burning Coal’s Twelfth Night, KidsWrite ’08, Inherit the Wind, 1776, Pentecost, The Taming of the Shrew, Accidental Death of an Anarchist, and James Joyce’s "The Dead." 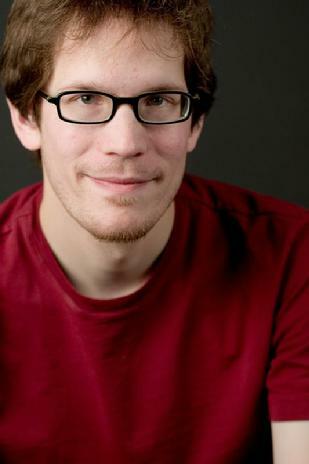 He holds an MFA from the NYU Tisch School of Arts and is a member of the Dramatists Guild of America. Ian was the 2012 Piedmont Laureate for playwriting. Native New Yorker June Guralnick is the author of thirteen full-length plays performed at venues including the Kennedy Center, Abrons Arts Centre/Henry Street Settlement (NY), Spirit Square (Charlotte, NC), Southern Appalachian Repertory Theatre (NC), North Carolina Museum of Art, as well as arts centers in the U.S. Plays include Memories of Childhood, Containments (The Home Project, Part I), In Gold We Trust (with Guy Nickson), Art Tales of Thaddeus, Women of the Light (with Cynthia Mitchell), Space Interlude, Finding Clara, Across the Holy Tell, and work-in-progress Birds of a Feather: A Comedy about De-Extinction. Selections from her plays have been published by North Carolina Literary Review, Playwrights’ Center (Monologues-Heinemann Press), Blackbird Press, and Left Curve. Ellen Shepard is currently in production on the upcoming documentary Turn. She recently produced and directed the feature length documentary Sitting at God's Table that included screenings at the NC Museum of History. As an Assistant Professor of Theatre and Film for sixteen years at St. Augustine's University in Raleigh, she created and developed the Film portion of the major, which included writing curriculum, teaching courses in documentary, screenwriting, directing, theatre, playwriting, abstract thinking, and more. Her duties included hiring faculty, advising students, and fundraising. She also developed and lead the Teen Summer Film Workshop for thirteen years; students came from all over the US and foreign countries in order to study at this workshop. Her work as Senior Producer/Director at the University of California at Los Angeles (UCLA) afforded her the opportunity to sharpen her documentary filmmaking skill sets. The "All Stories Connect" panel happens Friday, July 20, at 7:00 pm on the campus of NC State University. All registrants are welcomed to attend. A Q&A follows. For more information, and to register for the NCWN 2018 Squire Summer Writing Workshops, click here.